Have YOU ever been angry with someone? What if every time a person upset you, you could zap them with your magic flashing finger? This story is about a little girl who can do just that! She turns her horrible teacher into a creature with whiskers and a tail. And as for the nasty Greggs family who hunt ducks next door – her magic finger has something very special in store for THEM! Quack! With a wonderful message about getting what you give, this classic Roald Dahl favourite will delight readers young and old. It is a great and magical story! The Gregg family turning into birds and much more! 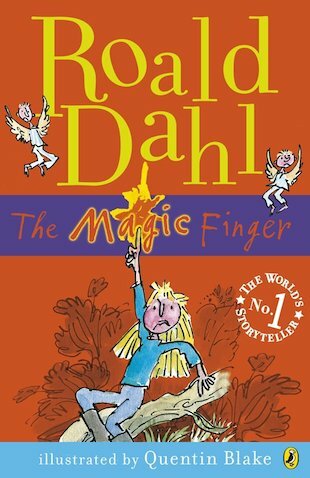 This is about a little girl who has a magic finger. This book is extremely well written and really hilarious I found it really interesting how much people do and don’t respect animals.